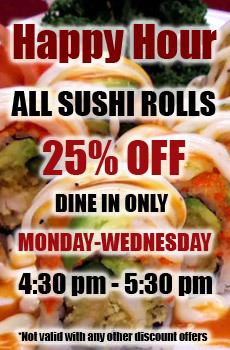 Send your taste buds on an exciting journey of exotic flavors from Japan and Thailand at Fuji Thai. 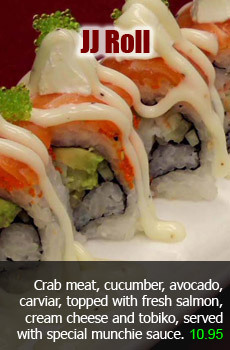 Here, freshness bursts from the delicious fish, meticulously selected and artfully prepared into exciting sushi and maki. The perfect culinary compliment to this freshness are the intense flavors of Thai cooking. 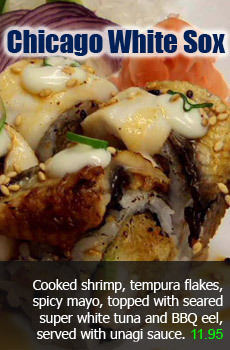 At Fuji Thai, you will find traditional and contemporary interpretations using only the best Thai ingredients. Our chefs are constantly creating new specials, so come on in and taste the excitement!